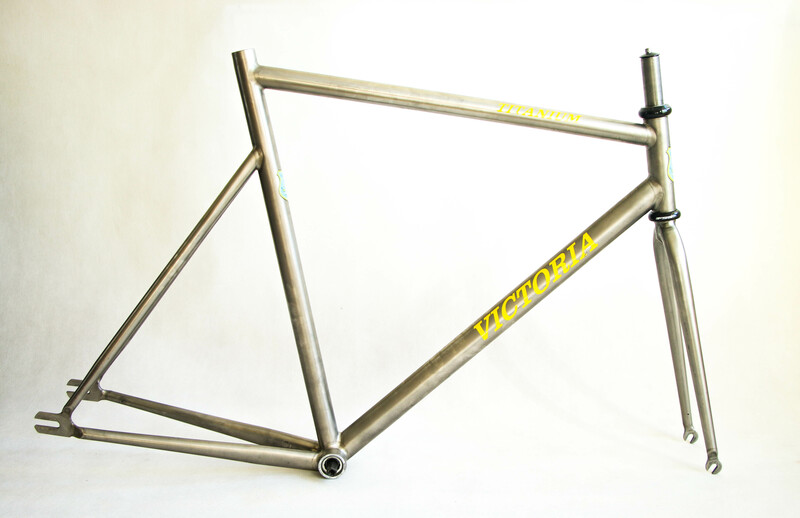 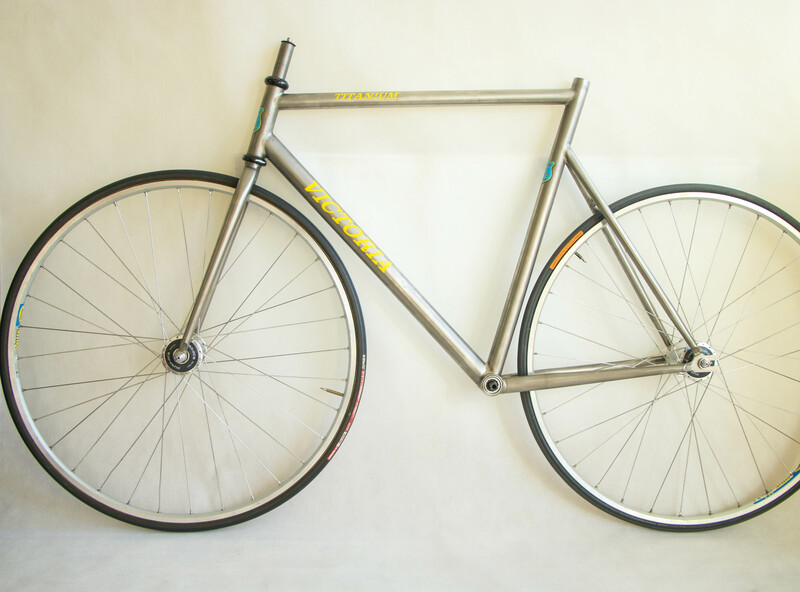 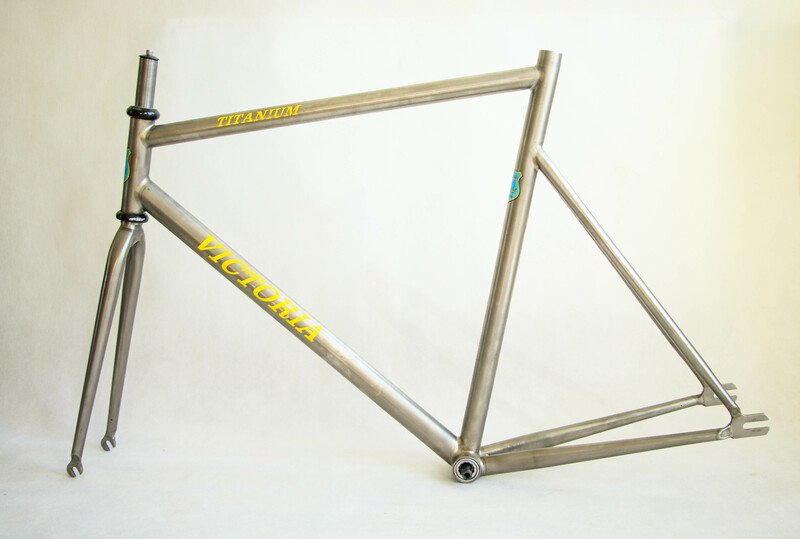 for sale beautiful Victoria Titanium track frame built by the very same Victoria / 4T / Wittson brand company / builder https://wittson.com/custom-titanium-fram­e-builder. 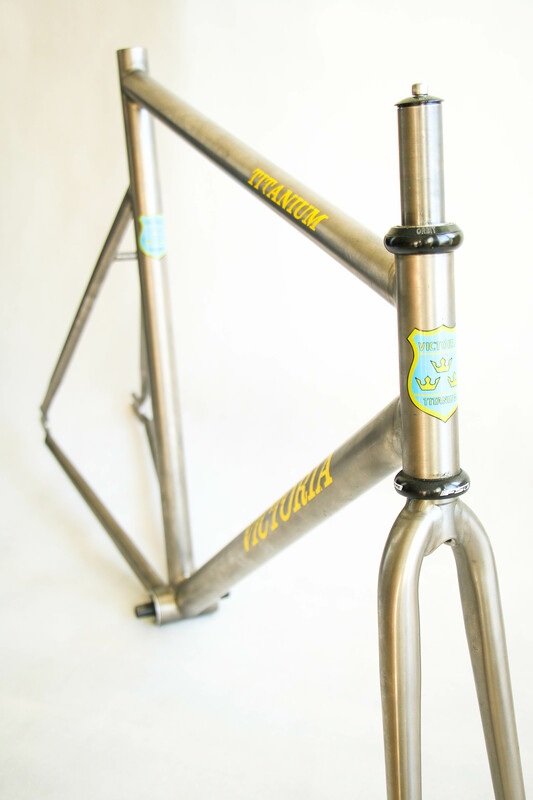 These were made for Lithuanian cyclists teams and national team in 90 and early 2000s. 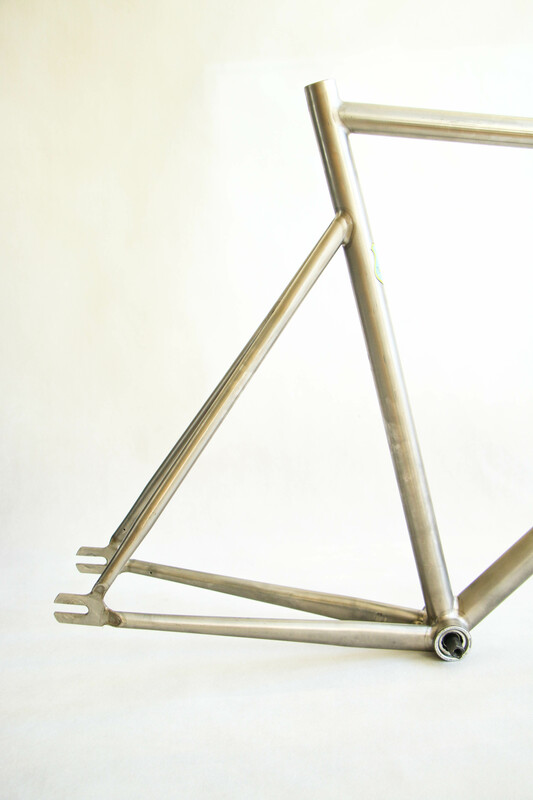 Frameset is in very clean condition, with aero shaped downtube and unique geometry seat stays. 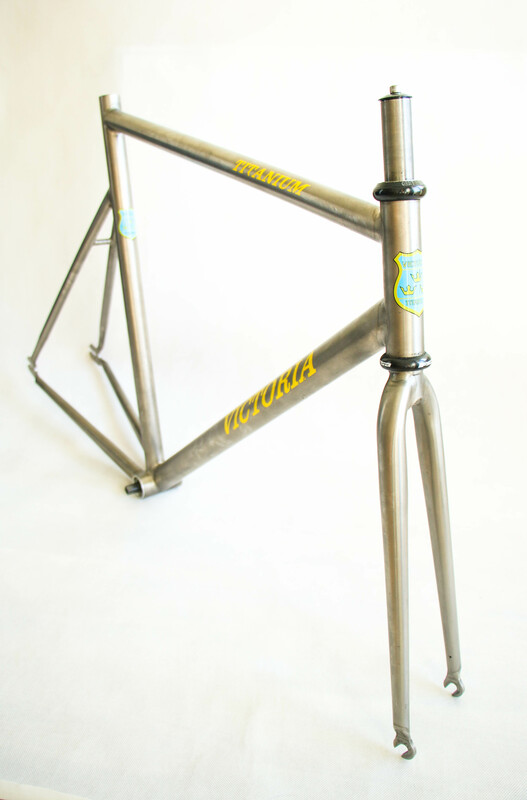 Comes with FSA headset and native titanium 1" fork. 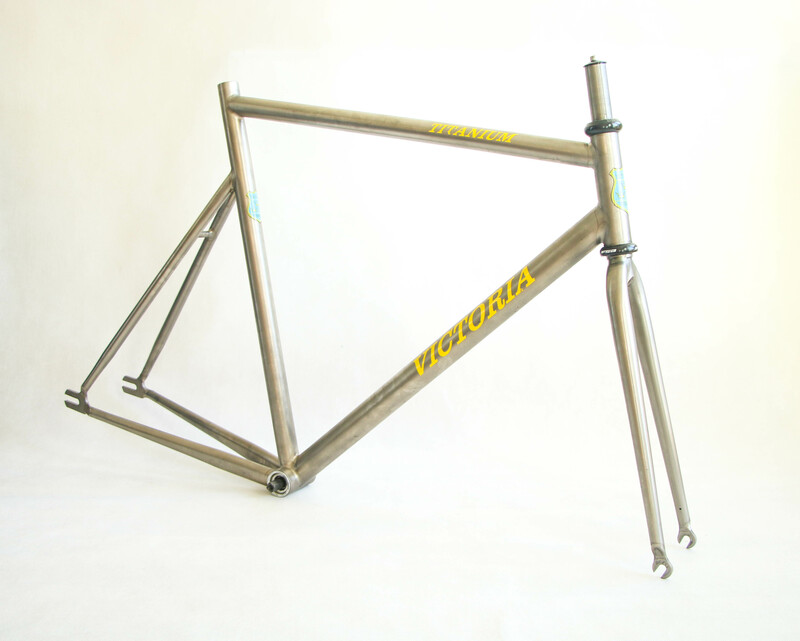 Extremely nicely made, please check all the welding work. 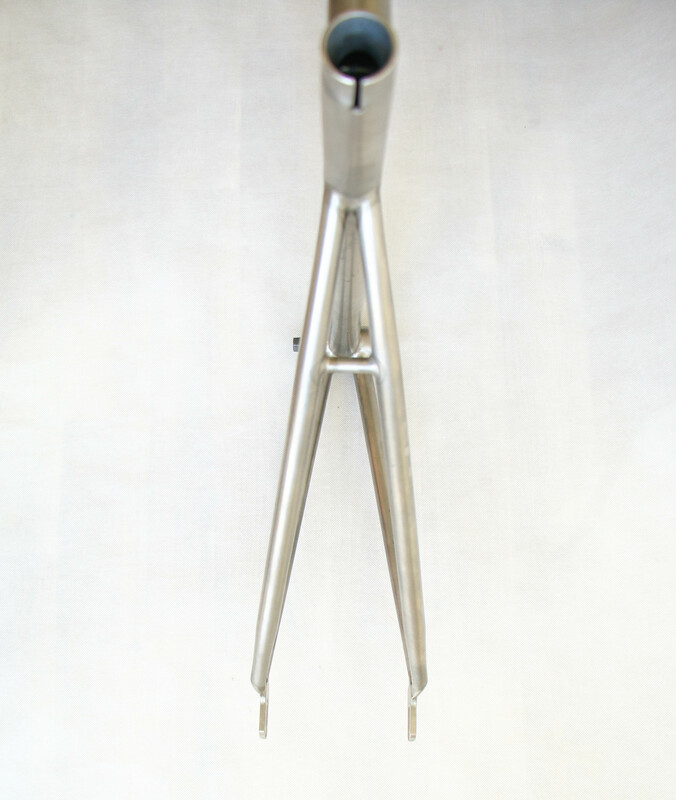 No dents or other damage to the tubes.